Shared traffic light with Wal-Mart. East Access with several curb cuts. Excellent frontage on Powder Springs Road. 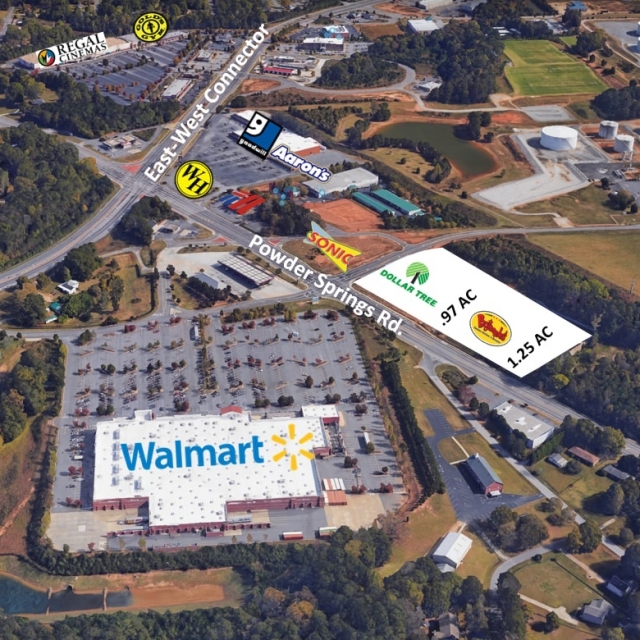 Located at Powder Springs Rd. & East-West Connector. Outparcel available. Outparcel is located across Anderson Farm Road from main center.